Looks like the “shatterproof” smartphone Moto X Force is all set to be launched in India soon. Motorola India shared a YouTube video on its official twitter handle hinting at an imminent India launch. 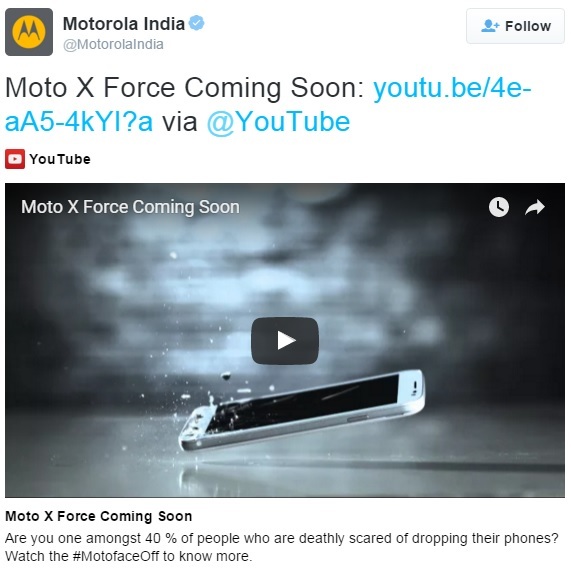 As can be seen in the image above, the tweet by Motorola India read “Moto X Force Coming Soon“. 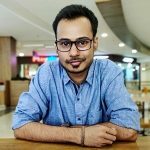 The teaser video showed many flagship phones from different manufactures getting their screens shattered upon being dropped. 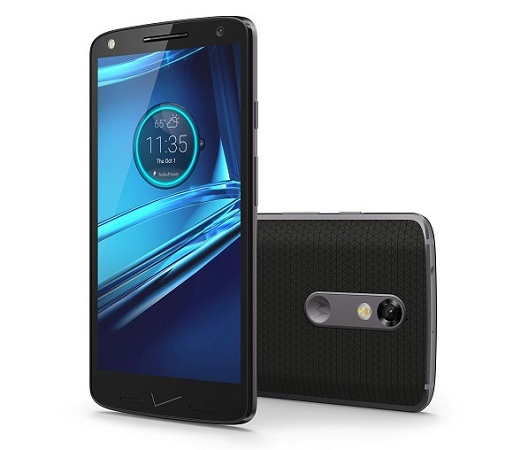 The video also shows Moto X Force being dropped but not incurring any damage to the screen. One of the most interesting features of this phone is its ShatterShield technology which prevents the screen from cracking after the phone falls down. Not just that, it also comes with water repellent nano-coating and Turbo Charging. There isn’t much information regarding the pricing and availability of this handset and the date on which it will be announced. Expect more teasers from Motorola until the Moto X Force is announced in India. You can see the video teaser here on YouTube. Well, I would love to have a phone I don’t have to worry about when it gets dropped. Would you like to have one as well? Tell us in the comments.